I've been talking to Melissa over at Literary Book Gifts for the past week and taking a look around her site. I really like the merchandise she has over there so I thought I would let you all know about it too. As you can see above she has T-shirts in different colors and with different pictures and sayings on them. 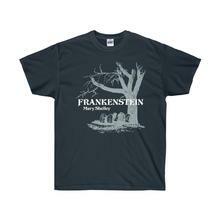 I love Frankenstein so I really like this one. 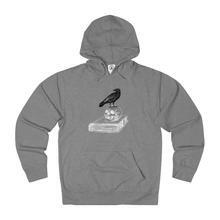 She also has hoodies in different colors and with different pictures and sayings on them. You can't go wrong with Edgar Allan Poe. If you'd rather have a tank top, she has those too. 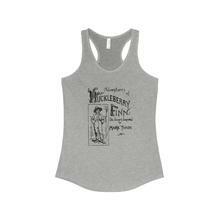 Huckleberry Finn looked like a nice one. And then there are the tote bags. 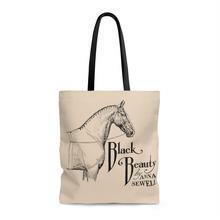 This Black Beauty tote bag looked like a nice one but there are a lot more on her page.